Di speaks to The Daily Edition about her career beginning and TV, writing 24 books in 25 years, and advocating education in Myanmar. Watch the video here. William Yeoman talks to Di Morrissey for The West Australian. Read it here. Listen to Di on ABC RN, Sunday Extra, (Dec 4, 2016) below. Listen to Di on 3CR Community Radio, Published or Not, below. Di appears on ABC Breakfast television to talk about how she became a bestselling author, her philanthropic work and her new book. Watch it here. Di takes Michael Williams of ABC Radio National to Guyana in South America in this podcast from Blueprint for Living program titled Sense of Place. Listen here. Rain Music review in The Sydney Morning Herald: Di Morrissey shows the way to another bestseller. Read it here. Booktopia TV interviews Di about what inspired Rain Music. Watch it above or listen to the podcast version here. The Co-op interviews Di about her writing process. Listen to the podcast here. Anthony Zanos from Radio 2RE Taree has “a good old chinwag with their favourite local author”. Listen to the podcast here. Di on ABC Sunshine Coast radio discussing her latest novel, education and starting her own newspaper. Listen here. Fiona Wyllie interviews Di on ABC NSW State-wide Drive radio. Listen here. Di chats with Peter Goers on Evenings, 891 ABC Adelaide. Listen here. Di Morrissey met up with John Purcell of Booktopia to do an interview for Booktopia TV. Di talks about her amazing career and her new book, The Road Back. Di Morrissey returned to the Studio 10 Panel, to discuss her latest besteller The Road Back. Listen to Di Morrissey’s fantastic interview on 774 ABC Radio with Richard Stubbs below. Di discusses the origins of The Road Back and relationships at the core of her magnificent new novel. 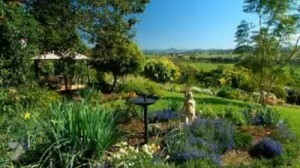 WomanGoingPlaces featured Di in their Top 5 Places to Visit in Australia. Click here to read Di’s top five picks. Di was all across the airwaves promoting The Road Back. Click here to listen to Di’s interview with Diana Darmody on ABC Perth Afternoons. Di Morrissey also stopped by ABC Adelaide Afternoons with Sonya Feldhoff, you can listen to that interview below. Di Morrissey met up with John Purcell of Booktopia to do an interview for Booktopia TV. Di talks about her amazing career and her new book, The Road Back. Watch the video here. 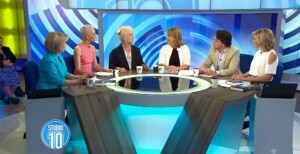 Di Morrissey returned to the Studio 10 Panel, to discuss her latest besteller The Road Back. Watch the video here. Di Morrissey joined the Studio 10 Panel. Watch the video here. On Time of My Life, well-known Australians share key moments from their past and talk about still living life to the full. Click here to watch Time of My Life featuring Di Morrissey. “Manning Valley resident and popular Australian author, Di Morrissey, has just released another book. Her latest novel was inspired by a chance meeting with an old friend. It’s set on the NSW South Coast.” Click here watch the video from Prime 7 News. Jason Steger joined Di Morrissey for a lunch at The Montague Hotel in South Melbourne and a discussion about her life and writing. Read all about it here. An interview with Di Morrissey and the Sydney Morning Herald’s Marc McEvoy about The Golden Land and Burma. Read it here. Check out this interview with Di on Radio National Saturday Extra. “Like many others, the prolific Australian writer Di Morrissey has caught the Burma travel bug. She’s set her latest novel The Golden Land there, and she’s about to return to further her links with the country.” Listen to the interview here. Di spoke to Belinda Heggen on FIVEaa about her life and how she keeps churning out the amazing stories year after year. Hear the full interview here. Di Morrissey explains why she based her new book ‘The Golden Land’ in Burma with Richard Stubbs on 774 ABC Melbourne. Click here to listen. An article by Di Morrissey for the Escape (travel) section in the Herald Sun on Myanmar. Click here to read. “I’ve always been fascinated by Burma, so when I heard that Di Morrissey’s new book The Golden Land was set there, I was eager to chat to her about this mysterious country that’s been a pariah for so many years but is now changing at a dramatic rate.” Listen to Di Morrissey on 702 ABC Sydney. Di Morrissey joins Moyd and Loretta in studio for 4BC Afternoons to discuss her new book, The Golden Land, which Di travelled to Burma to write. 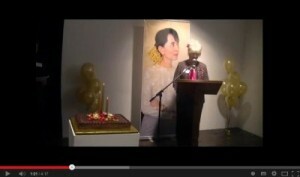 Watch the video of Di’s interview on Burma and her new book, The Golden Land on Ch 9’s Today Show. “I was invited to speak at a rally – ‘Gather for Democracy, Stand for Freedom’ to show support for inspirational Burmese leader Aung San Suu Kyi who has been under house arrest for 13 of the past 21 years.” Click here for the full story, as well as a video of Di giving a tribute to Aung San Suu Kyi. For those who may have missed out on attending the Di Morrissey SMH/Dymocks Literary Lunch for her latest book, The Opal Desert, ABC Radio NightLife w/ Tony Delroy was there to record the event for ABC listeners. Click here for the podcast of Di Morrissey’s talk at the National Library in Canberra for The Opal Desert. Watch Di Morrissey on this special Jennifer Byrnes Presents (ABC1, October 11, 2011).